It’s a mean, dirty, awful word. Odds are you know someone, are related to someone, are friends with someone who’s life has been touched by some sort of cancer. My family is no different. I’ve lost family members, in-laws, and friends. I am encouraged that there are many breakthroughs occurring in efforts for prevention, early detection, and eradication. The American Cancer Society has a year long calender of events for those of you who want to be more involved in the fight. Some dates of note include: Healthy weight week (Jan), World Cancer day (Feb), Kick Butts Day (Mar), National Minority Cancer awareness week (Apr), World No Tobacco Day (May), Men’s Health (Jun), National Mammography Day (Oct), just to name a few. Find the entire calender here. So back to October…October 22, 2015 is National Mammography day. I can tell you early detection can be the difference between losing or surviving the fight. I’ve had my own scares, most recently last year and this year. Last year was my original check, then a follow up ultrasound. This revealed that there was nothing to worry about. This year was different. I also chose a different test…Tomosynthesis. It was also the first time I was ever told that I have dense breast tissue. This can make it difficult to see everything necessary in a mammogram. A mammogram is an x-ray of the breast…Tomosynthesis is a three-dimensional imaging of the breast. So I went for my yearly exam, but with Tomosynthesis. I opted to pay the additional expense of the Tomo due to a family history of cancer. I got called back for additional imaging, just like last year, but this time they found something. The interesting thing was they found something…microscopic. Tiny calcifications in a cluster not visible to the naked eye, in fact the radiologist was shocked they even noticed them on the films. They did a second check to make sure they really saw what they thought they saw. It was confirmed. Now calcifications are not abnormal per se, when equally distributed throughout the tissue. The red flag was that they were clustered together. My 2nd appointment turned into a 3rd…for a biopsy…and fear. Good news? Early detection, might be nothing. Bad news, could be something, but if it is, it’s early, really early, and the fix? Removal and local radiation. Nothing more. Still scary. The biopsy, not pleasant, but not horrible. Learn more about the process and equipment used here. The staff at all my appointments? All women, and very nice, sympathetic, encouraging, empathetic, patient women at that. My only complaint is the table used for the biopsy. It requires one to hold still for a long period of time with your head cranked to one side. 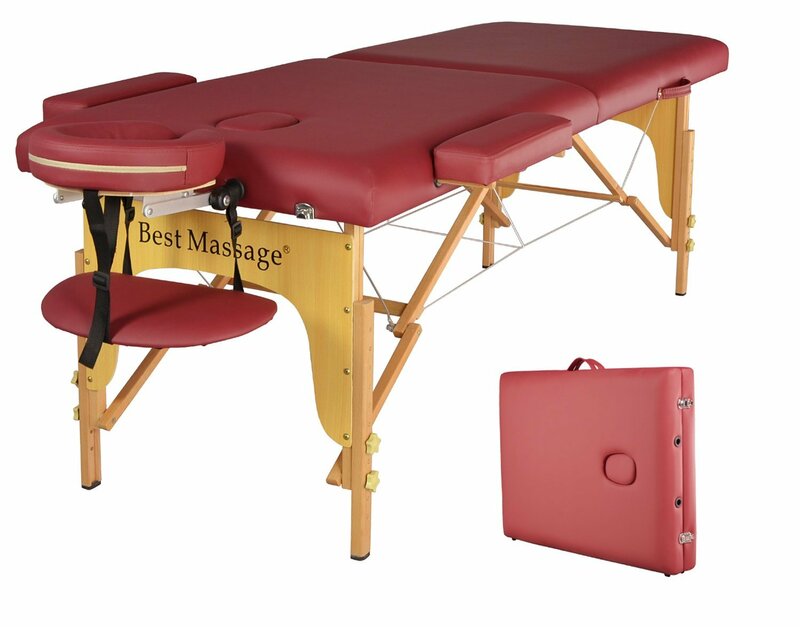 You’d think they could take a page from massage therapy equipment and come up with something more comfortable, you know like a hole for your breast and your face, maintaining spinal alignment, giving a spa-like appearance and even better with a TV underneath, or music speakers…something to help distract and make more comfortable! C’mon Doctor’s and Engineers…get moving on this. I want one available for next year, just-in-case!! Well, that’s my suggestion anyway. I hope someone runs with it. So, I had my biopsy today. It’s actually April 2015. I am doing well enough tonight to write about it even though I won’t get my results for 24 hours or so. When I do find out my results I’ll be adding to this post. Whatever happens I am hoping I will be more comfortable sharing, whatever the news ends up being, by the time this posts in October for Breast Cancer Awareness month. For now, its time for another ice pack. More later.